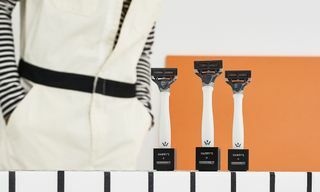 It’s no secret anymore that sneakers are big business, not just for brands and retailers but also for the sneakerheads that buy and collect them. 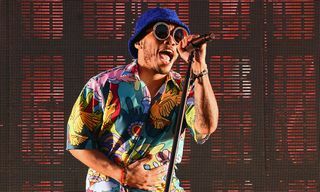 Recently, Business Insider valued the sneaker resale market at $1 billion, with other reports suggesting the overall athletic footwear market size could grow to around $95.14 billion by 2025. 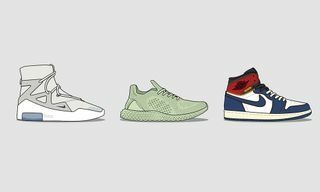 With that in mind, we’ve teamed up with the sneakerhead data wizards over at StockX, with illustrations by Dan Freebairn, to bring you a detailed breakdown of the most valuable shoes to hit the resell market, as well as those that grossed the most money overall. Here’s the rundown for 2018 Q3 (that’s July 1 to September 30) — with data based on sale activity on StockX. When you’re done, catch up on the most valuable sneakers of 2018 Q2 here. By a long shot, the most expensive sneaker of 2018 Q3 was the purple UNDEFEATED x Nike Kobe 1 Protro. Just like in Q2, when the Pharrell Williams and adidas Originals’ gold, China-edition NMD Hu was top of the ranking, a “Friends & Family” sneaker is top of the pack once again. Coming in at an average resell price of $6,275, Kobe Bryant’s retooled first signature shoe for Nike is expensive to say the least. Add in the fact that this particular pair was only available via a raffle at UNDEFEATED’s Hong Kong chapter store and it’s easy to see why it tops the list this quarter. A second Kobe Bryant signature sneaker follows in second place, about $2,000 cheaper but still formidably priced at $4,487. The “Flight Jacket” iteration of the same model was, in fact, made available through select retailers but due to its highly limited release and the nostalgia-driven hype that Kobe Bryant creates, the kicks command almost as hefty a price tag as the F&F version. Another Friends & Family sneaker, Piet Parra’s special-edition Air Max 1, sits at third place with an average retail price of $3,622. Parra is the creative mind behind some of the most iconic Air Max 1 designs during the silhouette’s heyday in the mid-to-late ’00s and this latest collaboration was his first with Nike in eight long years. Two Air Jordan silhouettes follow in fourth and fifth place, the Friends & Family Paris Saint-Germain Air Jordan 5 and the Friends & Family Air Jordan 3 Quai54 2018, which resold for an average price of $2,150 and $2,050 respectively. The first adidas sneaker to make the list was Invincible’s “Prism” Futurecraft 4D at sixth, which was joined by the green and yellow N.E.R.D. x Pharrell Williams adidas NMD Hu in tenth. The rest of the list was completed by Virgil Abloh’s Serena Williams-inspired Nike Blazer Mid, CLOT’s Air Force 1 “Star All Over,” and the NBA 2k18-themed Kyrie 4s, all of which came in at seventh, eighth, and ninth respectively. 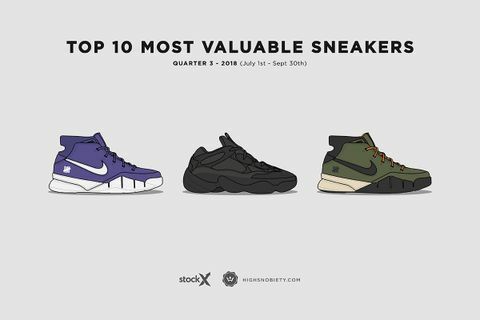 Interestingly, of the 10 most expensive sneakers on StockX, five did not see a public release and four of them are in the top five. The only non-friends & family sneaker to break the top five is the aforementioned “Flight Jacket” Kobe 1. 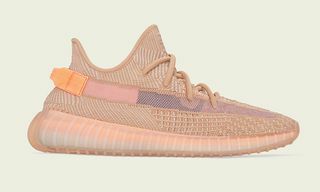 This trend illustrates classic economic laws of supply and demand as “Friends & Family” pairs are known to be much more limited than sneakers that make it to retailers. For this quarter, we’re diving deeper into the data than ever before. Instead of just showing you the most expensive or best-selling sneakers as we have done in the past, we’re taking a look at the most profitable sneakers out there as well. It’s important to note that we have only used sneakers with a retail price, due to the fact that without one, a price premium cannot be calculated. 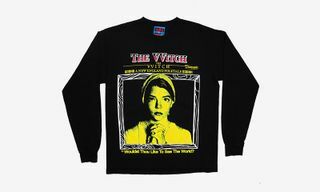 This rules out most of the “Friends & Family” sneakers included in the section above. 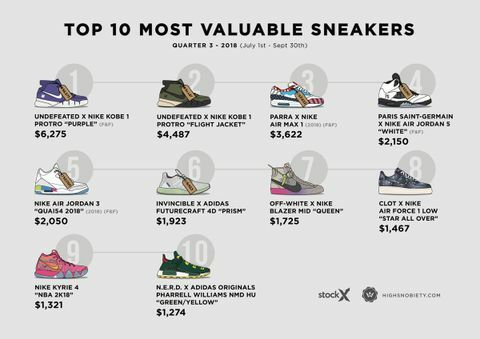 The top dog in this category should be of no surprise, due to the sneaker’s second-place ranking on the list of most expensive sneakers. The “Flight Jacket” UNDEFEATED x Nike Kobe 1 Protro retailed for $180 but resold for an average of $4,487, giving it an incredible return on investment of 2,393 percent. 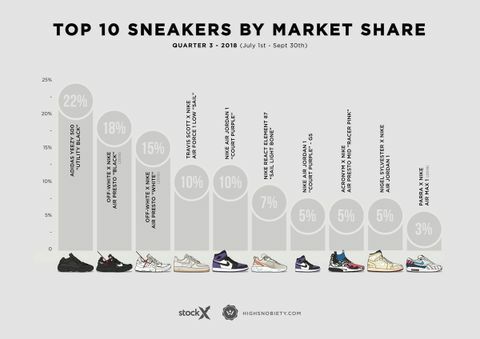 Nike sneakers looked to be one of the best investments in Q3, with seven of the 10 sneakers on the list coming from the Swoosh. Of those seven, the Virgil Abloh-designed “Queen” Blazer Mid, “Queen” Air Max 97, black Air Presto, and white Air Presto made an appearance in second, sixth, seventh, and ninth place respectively, with price premiums ranging from 318 to 1,227 percent. 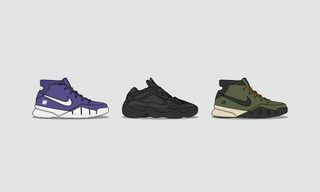 The other Nike sneakers on the list were the yellow camo UNDEFEATED x Nike Kobe 1 Protro at eighth and a price premium of 323 percent, and the special box-edition “Green Lobster” Kyrie 4, which netted sneakerheads a 731 percent return on investment. Three adidas sneakers — the N.E.R.D. x Pharrell Williams adidas NMD Hu, Invincible’s Futurecraft 4D, and AKOG’s navy Ultra Boost — rounded out the list. 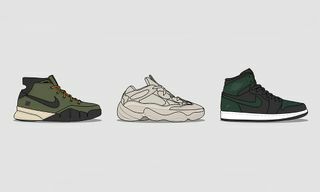 While all three resold for well over $1,000, the high retail prices (ranging from $250 to $450) mean that their price premium was lower than certain other sneakers that resold for less. Price premium is a great way at finding out how much more people are paying for a certain shoe, but it is not to be confused with the actual resale price and profit, as those can all vary wildly depending on how much retail was and what the final resale value is. 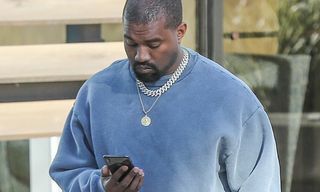 In the list of most commonly sold sneakers, Kanye West’s YEEZY Boost 500 “Utility Black” reigns supreme. 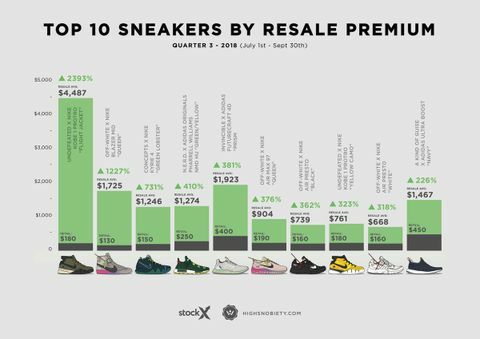 Although its average resell price is *only* $271, it holds a 22 percent market share of the top 10 most-sold sneakers on StockX. 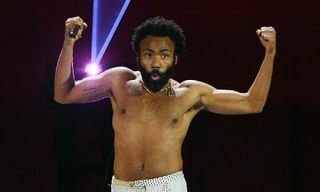 That is where YEEZY’s dominance in the market ends, though, being the only non-Nike or Jordan Brand sneaker on the list. Following closely in second and third place are Virgil Abloh’s Nike Air Prestos in black and white respectively. 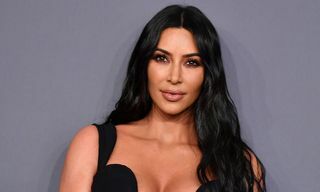 In addition to forming part of the top three best-selling sneakers, they are also the most valuable on that list — by far. 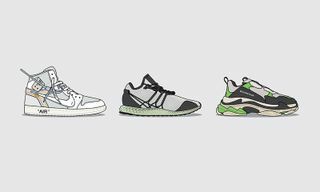 The black pair resold for an average of $739, while the white one — considered by many to be the most customizable shoe of the year — resold for an average price of $668. 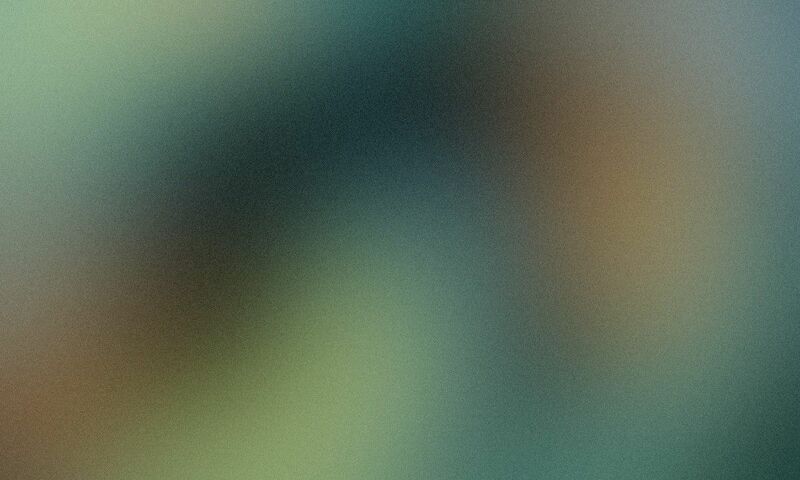 Their respective market shares are 18 and 15 percent. None of the rest of the sneakers crack the $400 average resale price threshold. Travis Scott’s “Sail” Air Force 1 and the “Court Purple” Air Jordan 1 both hold 10 percent of the market share and are the only other two sneakers to hit double figures in that statistic. Nike’s popular React Element 87 in “Sail/Light Bone” occupies sixth place with a seven percent market share, while the GS-sized “Court Purple” AJ1, “Racer Pink” ACRONYM x Nike Air Presto Mid, and Nigel Sylvester’s signature Air Jordan 1 all had a five percent market share. Rounding off the list in tenth place is Piet Parra’s Air Max 1 at three percent. The colorful sneaker marked the first time in eight years that Parra and Nike worked together (of course on his beloved Air Max 1). 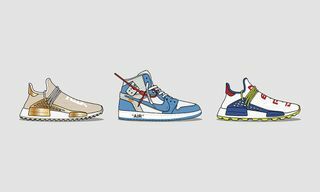 Previous collaborations between the two are some of the most consistently valuable Air Max 1s in existence.